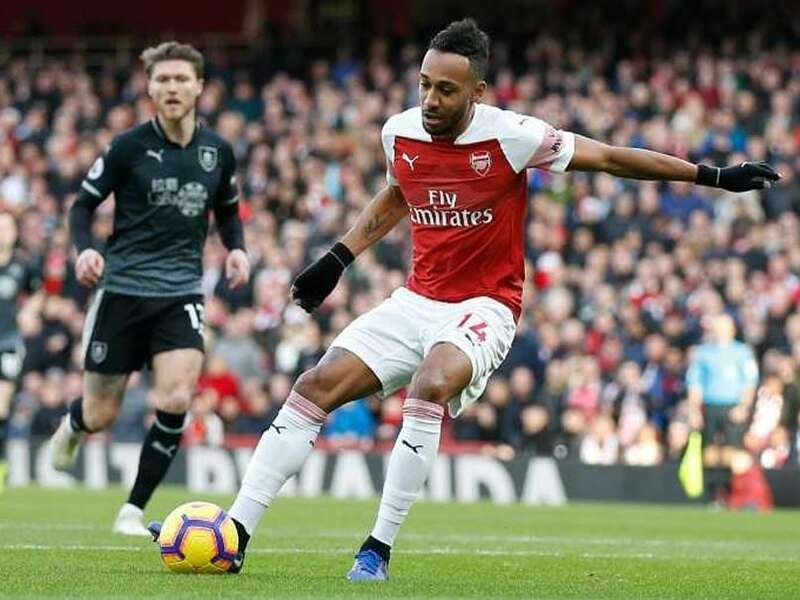 Apart from Pierre-Emerick Aubameyang, substitute Alex Iwobi scored the third goal for Arsenal while Ashley Barnes scored the lone goal for Burnley. 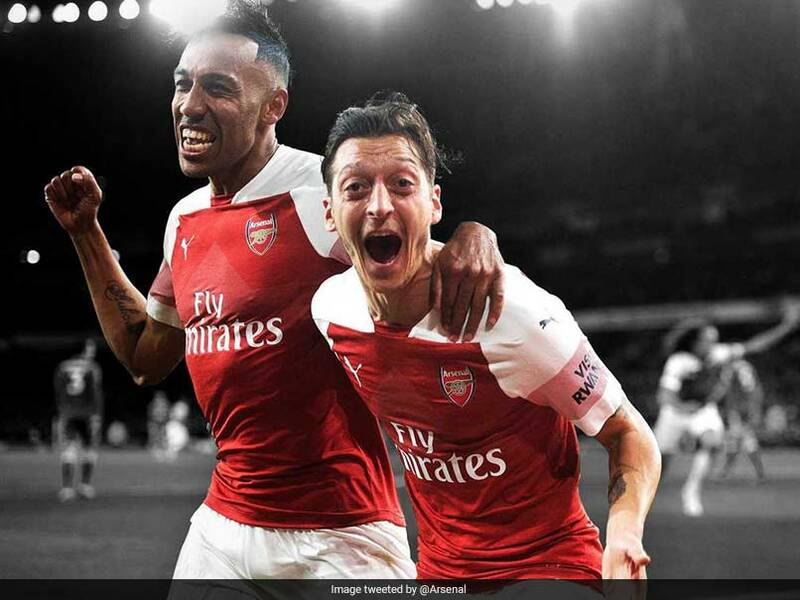 A video has emerged that appears to show a number of Arsenal stars inhaling nitrous oxide. 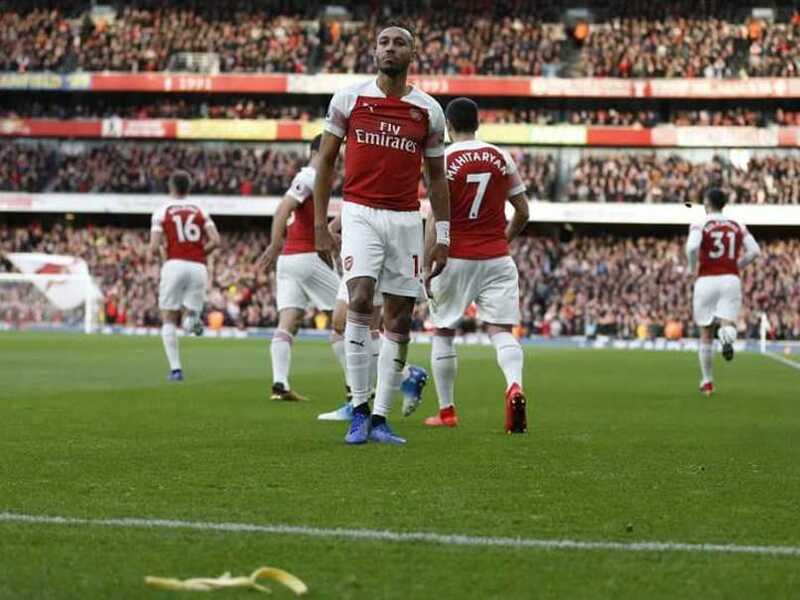 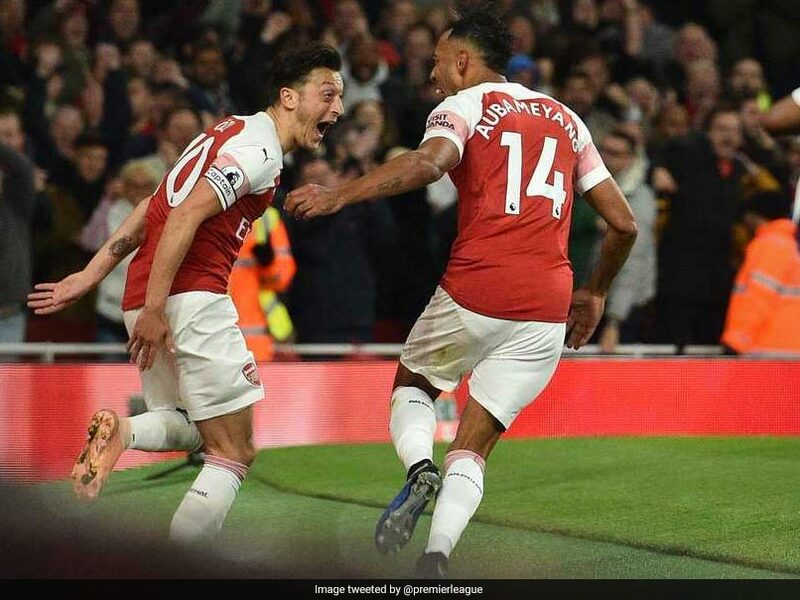 A banana skin was hurled from the away end at the Emirates Stadium as Pierre-Emerick Aubameyang celebrated scoring in front of the Tottenham fans. 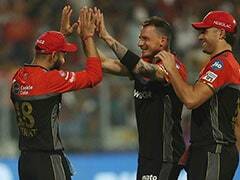 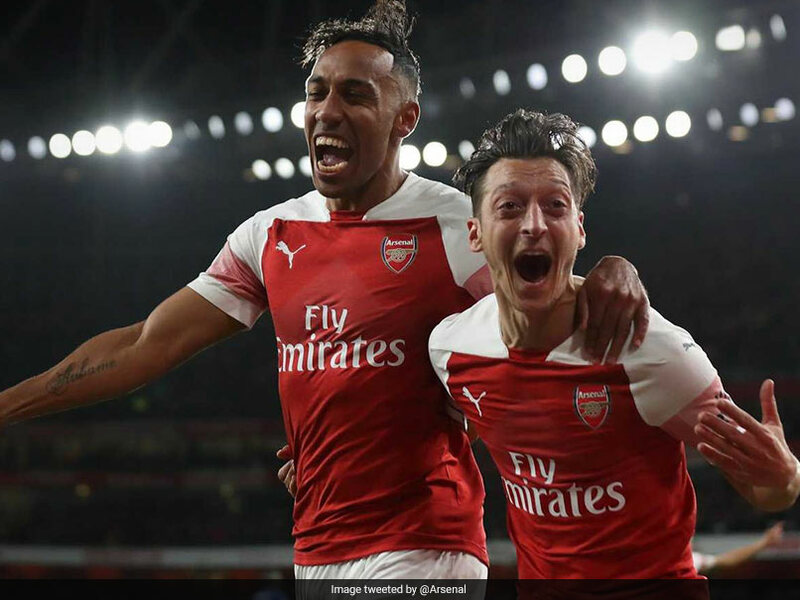 Arsenal have been revitalised since Unai Emery replaced Arsene Wenger in the close-season. 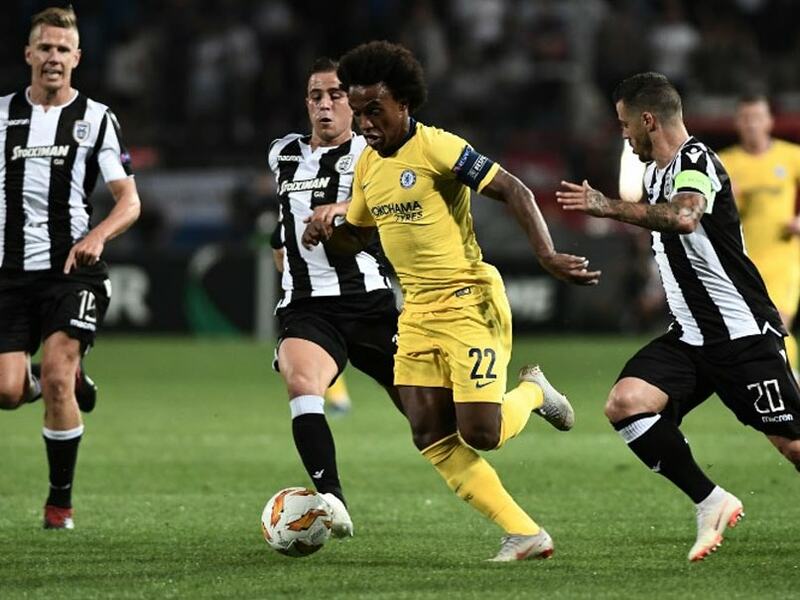 Arsenal take on Sporting CP while Chelsea take on Bate Borisov in their Europa League encounters. 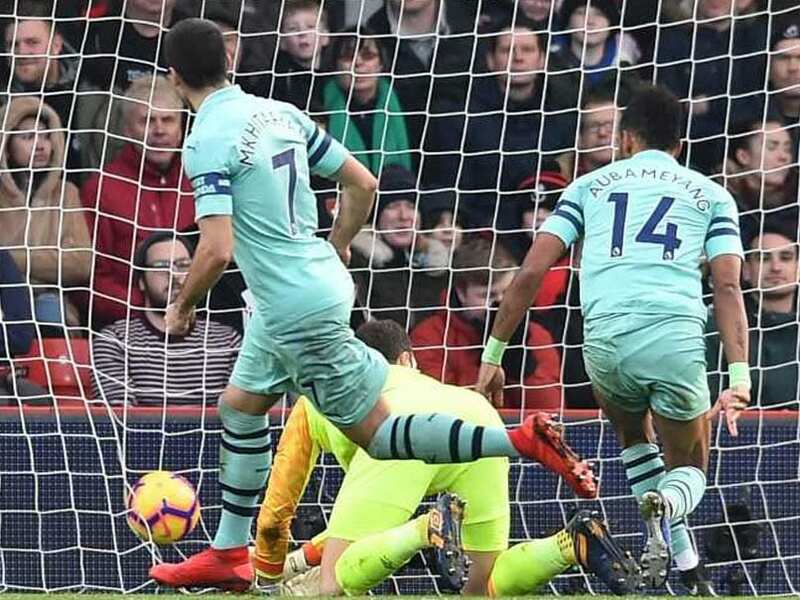 Arsenal's third goal was one of the best team goals scored in the Premier League this season. 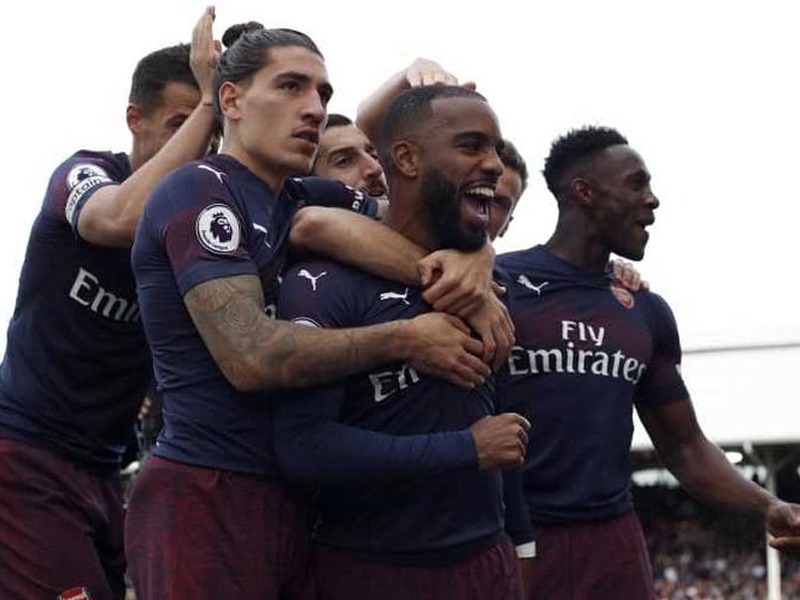 Arsenal swept to their 10th successive win with a dominant 3-1 victory against Leicester. 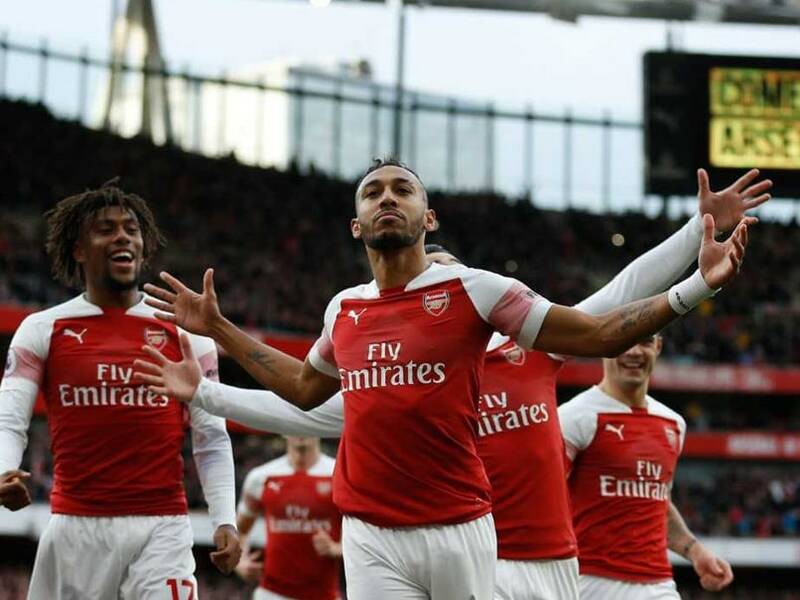 Arsenal turned on the style against Fulham, recording their biggest win of the season. 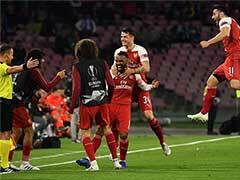 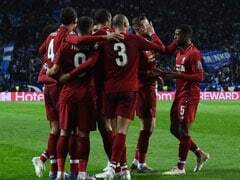 Arsenal defeated Ukraine's Vorskla Poltava 4-2 in the Europa League, while in-form Chelsea registered a 1-0 win away to PAOK in Greece. 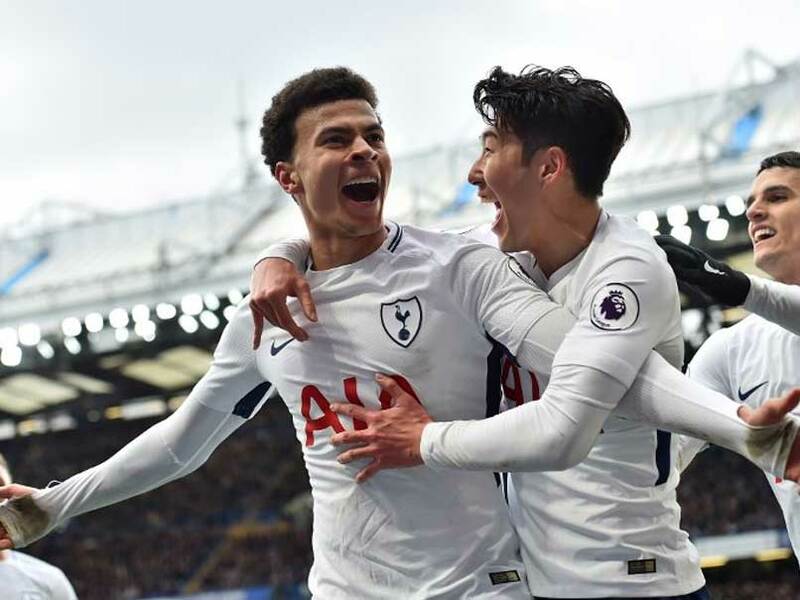 Christan Eriksen's wonder strike levelled in first-half stoppage time, before Alli took centre stage to end a barren run by his standards with two smart finishes just after the hour mark. 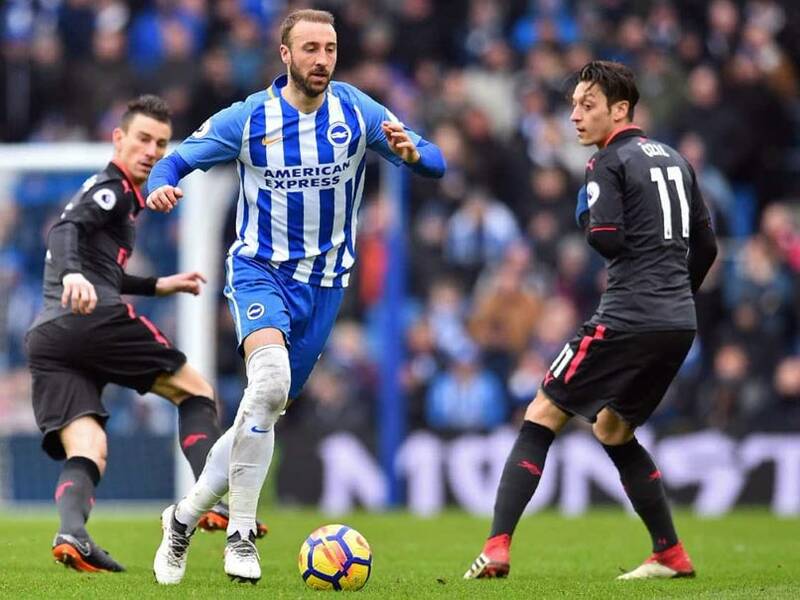 This was Arsenal's eighth defeat this year and their fourth straight league defeat. 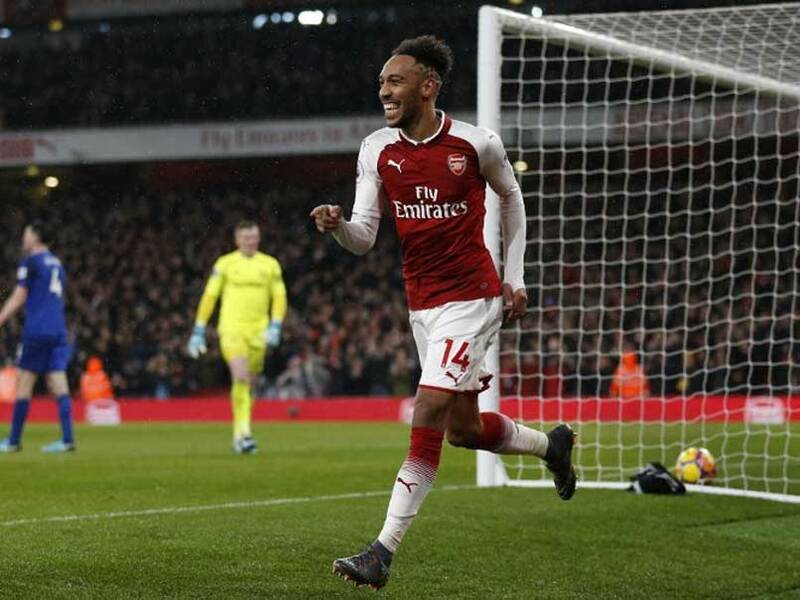 Pierre-Emerick Aubameyang's lively debut was aided by three assists from Henrikh Mkhitaryan in his first Arsenal start. 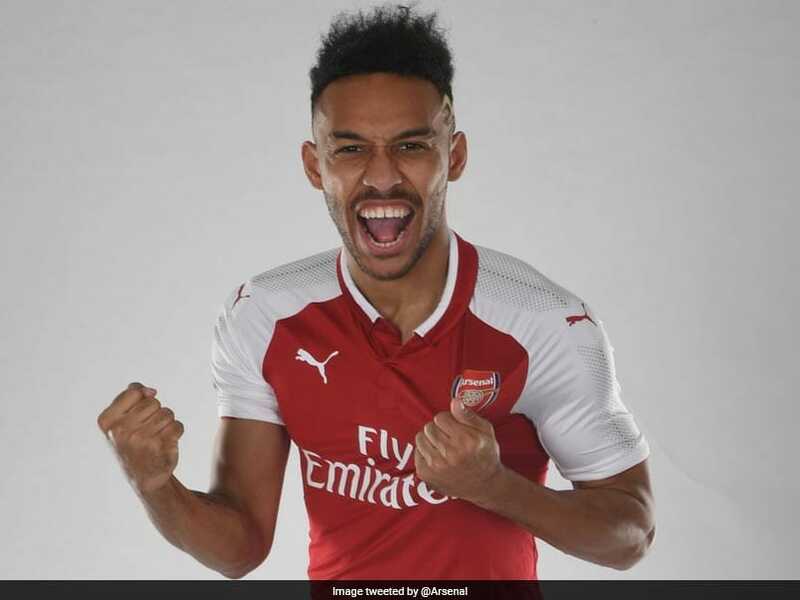 Pierre-Emerick Aubameyang joined Arsenal for a record fee of 56 million pounds. 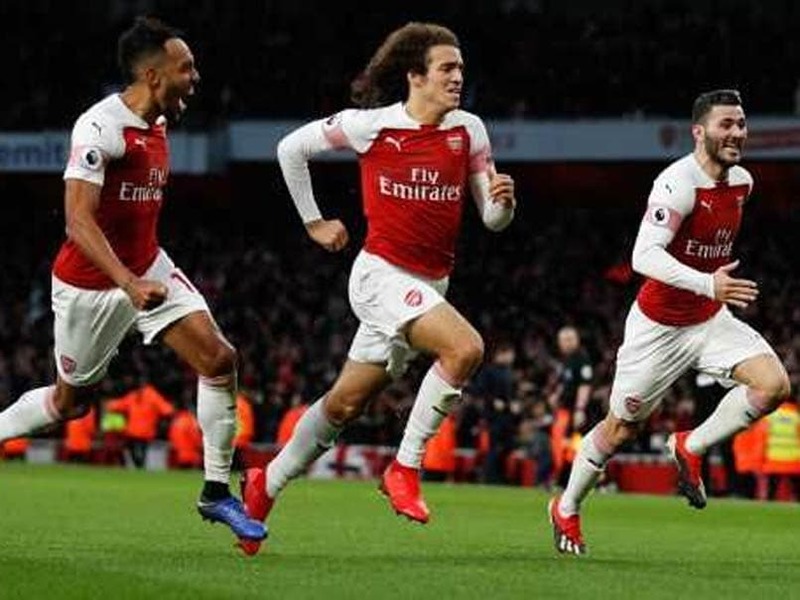 Premier League leaders City are reported to have paid a club record 65 million euros for Athletic Bilbao defender Laporte, eclipsing the £55 million they paid for Kevin De Bruyne in 2015. 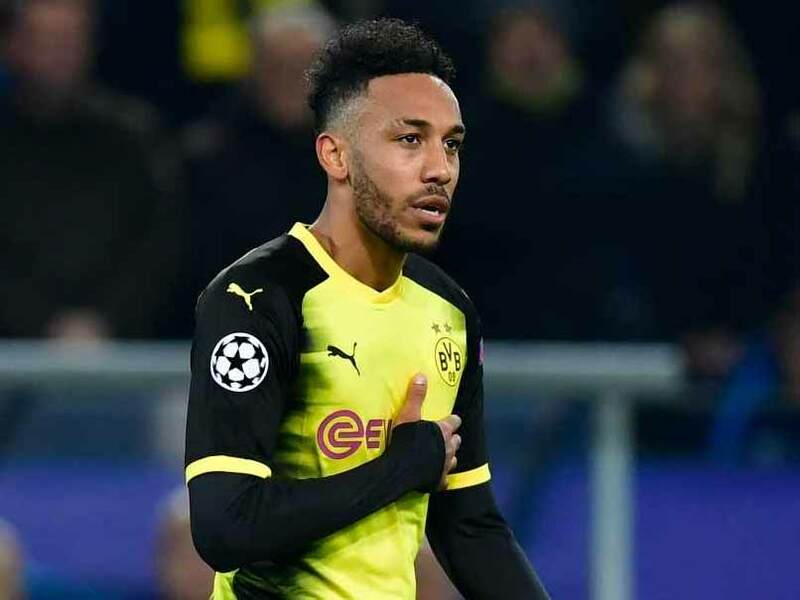 Report suggests that Borussia Dortmund will not accept less than 60 million euros for Gabonese player Aubameyang, who is under contract with Dortmund until 2021. 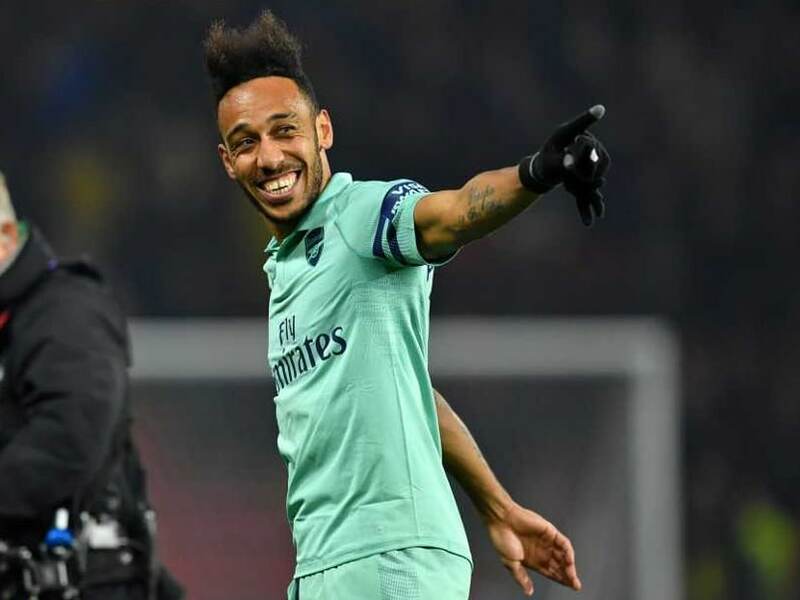 Pierre-Emerick Aubameyang has now hit 28 goals for the season as Borussia Dortmund reached the last eight in Champions League for the first time since 2013/14.